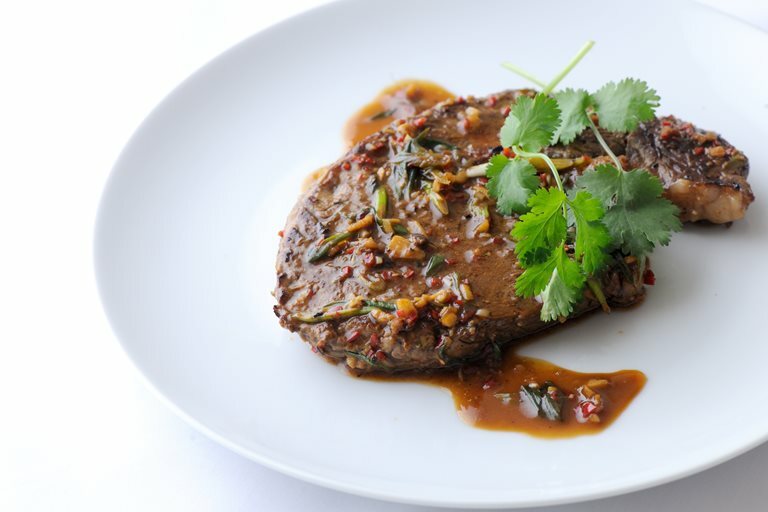 Rib-eye steaks are marinated in a heady chilli, lemon grass, soy, ginger, garlic and spring onion marinade, before being pan-fried in this Paul Heathcote recipe. Serve with your favourite sides - steamed greens and rice will suffice. For more sumptuous steak recipes go to our steak collection.